Nokia released the latest Windows Phone: Lumia 900 on 2012 CES as expected. As an important product for Nokia to go back to the high-end flagship market, Lumia 900 won the second largest operator AT&T enough face: not only supports 4G LTE network but also promises exclusive customization by AT&T in the United States. In appearance, Nokia Lumia 900 employs the design of Lumia 800 which takes the integrated polycarbonate material into use. At the same time, its thickness is compressed to 11.5mm so that it has been marked as the thinnest Lumia Phone. It is equipped with 4.3-inch AMOLED ClearBlack display with which you can get visual enjoyment to the utmost. As to video format compatibility problem, an easy-to-use Video Converter can do you a favor. Lumia 900 is with 8-million-pixel camera, adopts f2.2/28mm Karl Zeiss and double LED flashlight, and supports automatic focus. 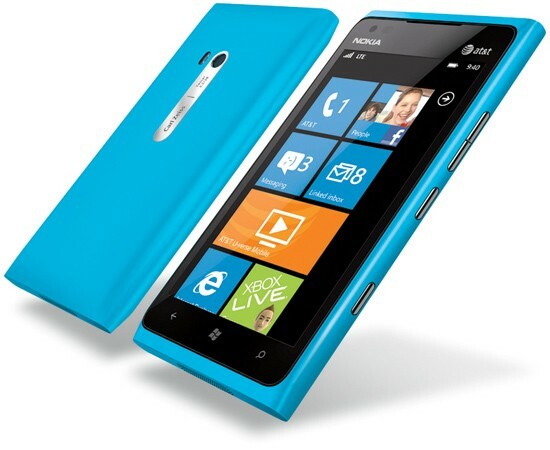 What’s more, 1-million-pixel camera is attached to the front side of Lumia 900 so as to realize video call. As to software, Nokia Lumia 900 uses the latest Windows Phone 7.5 Mango operating system, with embedded ESPN sports hub, Nokia driving navigation and more applications. In addition, EA and Nokia have reached cooperation for the sake of launching more than 20 games and Nokia Lumia users have the chance to play these games in advance. There are black and blue for users’ options at first, and more colors will be added to it. Nokia Lumia 900 will be put into the America market in February this year, but the price remains unknown at present.